Butterfly palm (Dypsis lutescens)Favorite House plants That Love an East-Facing Window, Indoor palm. The butterfly, or areca, palm is a popular choice if you want to create a tropical paradise in your home, or if you simply enjoy the graceful fronds of a palm. Despite its exotic look, it’s fairly easy to grow. Keep the soil evenly moist it is growing in the spring and summer, then cut back in late fall and winter. Feed monthly while it’s growing. Butterfly palms can get large, but it will take them some time. 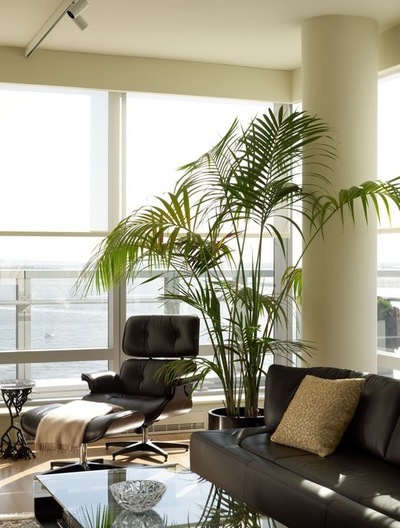 More: Other good palm choice for indoors include chinese fan palm [ Livistona chinensis ], fishtail palm [ caryota spp.] lady palm [ rhapis excelsa], parlor palm [chamaerorea elegans] and pygmy date palm [pheonix pebelenii] you can also try growing a bird of paradise [ strelitzia spp.] or a coffe tree [ coffe arabica], although neither il likely to produce either flowers or coffe berries.